‘Park is a better clean-up man than me,” says Lee Seung-youp. September. 03, 2018 07:30. by Heon-Jae Lee uni@donga.com. Athletes would feel a great sense of burden when participating in a competition where their winning is considered a natural result. Lee Seung-youp, a retired baseball player who used to be the clean-up man of Team South Korea for international matches, had to endure extreme pressure in every game. Throughout the 2018 Jakarta Palembang Asian Games, Lee watched young members of the national baseball team with sympathetic eyes. Public sentiment had hardened against the national team, with controversy arising over the manager’s selection of some undeserving players and an embarrassing 1-2 loss to Chinese Taipei. Yet, it served as a sobering experience for players. South Korea had continued its winning streak since then, and beat Japan 3-0 in the final to bring home a gold medal. 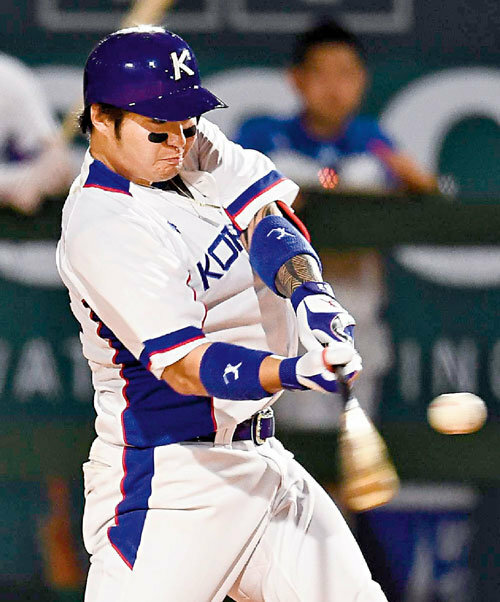 Starter Yang Hyeon-jong held Japan to one hit over six innings, and Park Byung-ho homered for the fourth straight game. “Our players overcame an excessive burden. It may seem easy, but it is definitely a hard-won gold medal. I’m very thankful and proud of our players,” said Lee.